Ok, so this lemon honey ‘tea’ isn’t actually a tea at all :). But, it is a delicious hot beverage that I find to be very relaxing. Upon waking in the morning, I like to make this hot beverage, especially during the long, cold winter months. It packs a bit of vitamin C, which helps keep my immune system strong against invaders. There are also other benefits, like increasing potassium levels, better digestion and liver function, and even possibly boosting your metabolism. 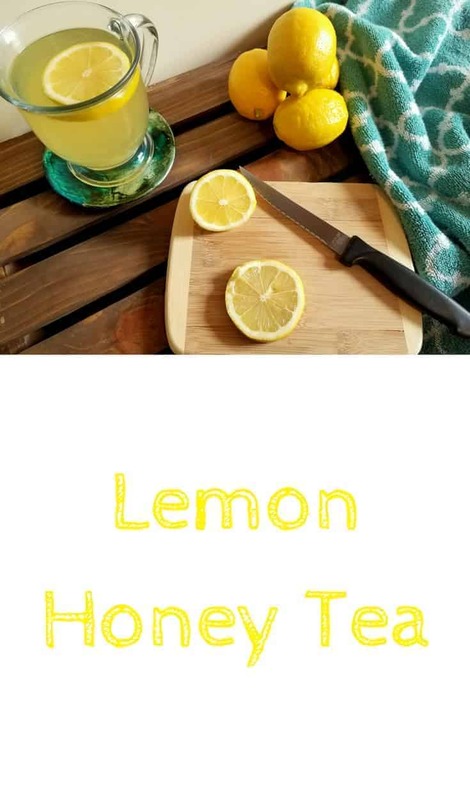 So if you need a little warmth in your day, start it off with this healthy lemon honey tea! This tea is perfect for cold winter mornings, or a great way to wind down for the evening. Fill an electric kettle with enough water to fill your mug. Turn it on to start the boiling process. 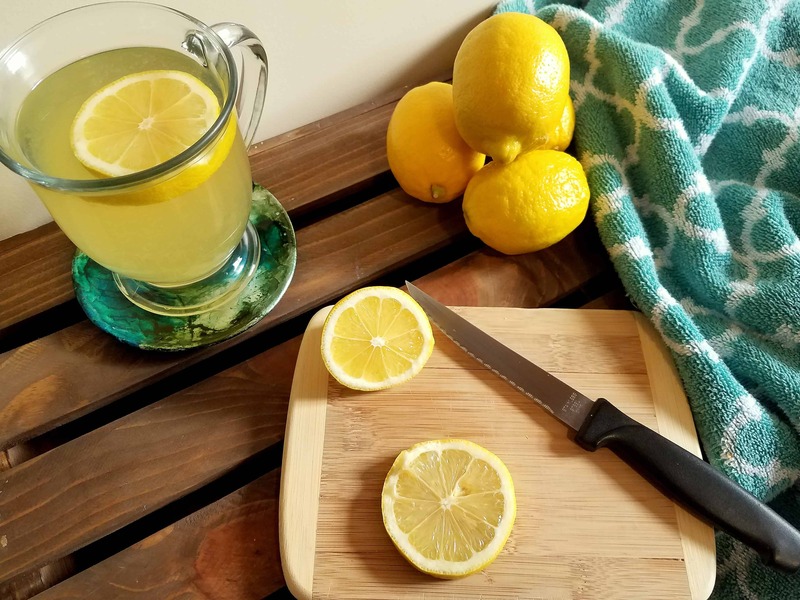 While the water is coming to a boil, freshly squeeze desired amount of lemon juice into a mug. I generally eyeball about 1/2-1 tablespoon. Squeeze some honey onto a spoon. Again, about 1/2-1 tablespoon worth. When the water is boiling, shut the kettle off, and fill up your mug. Take your honey covered spoon and give the tea a good stir until all of the honey is dissolved. Enjoy! This is the 4ecipe I exactly follow. Honey lemon tea is good for health too. This tea sounds so nice and relaxing and perfect right now. I’m sitting here curled up reading your blog post with my toes absolutely freezing (banned from the lovely herbal teas in my cabinet because of my delicate condition) and I’m so ready for your recipe. Especially that immune boost! This is a great use for all the extra lemons falling from our trees. Certainly going to give this a try! I love honey and I love lemon… What a great combo for a fresh tasty drink. It’s the perfect time for tea (the Fall)… I’ll have to try this recipe you shared, thanks! Thank you so much for this recipe! As I prepare to move into my own place, it is important that I learn new recipes as I wil be preparing all my meals. I love honey and I love lemon so this is perfect. I look forward to trying this especially since lemons are so fresh and honey makes everything better. With the fall here, it’s could help rid any colds from coming due to the weather change. Great post! 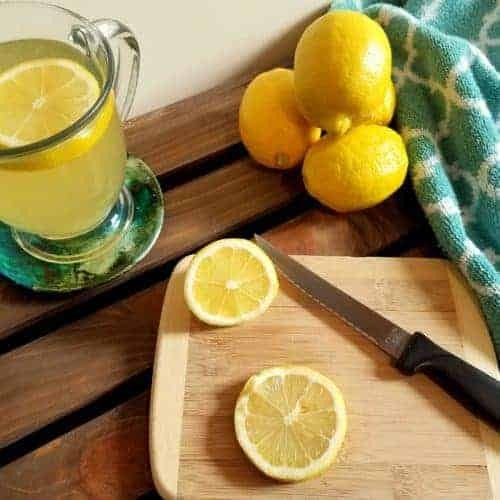 I love this simple recipe for a homemade lemon honey tea and all of the added health benefits just drinking one cup provides. With fall upon us and winter around the corner this is a great immune booster too. This recipe seems very nice and simple, perfect for those fall and winter mornings. Even though I’m more of a coffee drinker myself, I will have to give this a try. The recipe looks really good. I think I will like it. I will have to give it a try at home.